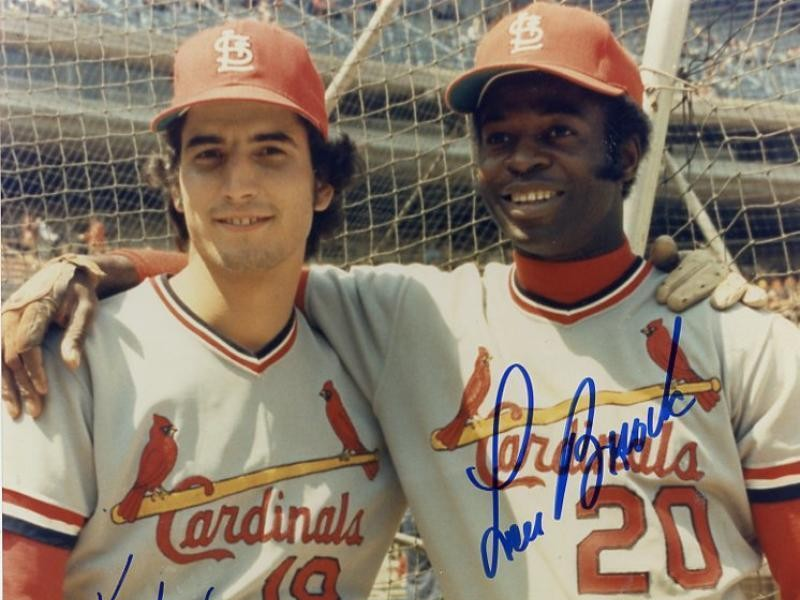 The St. Louis Cardinals will host an exclusive Speaker Series event featuring Hall of Famer Lou Brock and Cardinals Hall of Fame nominee Keith Hernandez on Thursday, April 18, starting at 6 PM at Busch Stadium. As part of the event, the two former teammates will share stories of their friendship and careers during a captivating program with broadcaster Dan McLaughlin. In addition to the program, fans who purchase a ticket will enjoy a cocktail party on the warning track and a gourmet dinner in the UMB Champions Club. This will be the 13th Speaker Series event the Cardinals have hosted. One of the most prolific base stealers of all-time, Brock’s 938 stolen bases rank second in Major League history. Beyond his prowess on the base paths, Lou batted .300 or better seven times and is one of 32 players in MLB history to reach 3,000 hits. The .293 career hitter was a member of two championship teams in 1964 and 1967 and remains the all-time franchise leader for hits (34) in the World Series. The six-time All-Star outfielder had his number retired by the club in 1979 and was a first ballot National Baseball Hall of Fame inductee in 1985. Hernandez spent the first 10 seasons of his 17-year career in St. Louis and was regarded as one of the finest fielding first basemen in the game, earning 11 consecutive Gold Glove awards. At the plate, Keith won two Silver Slugger Awards and was named National League MVP in 1979 after batting a league leading .344 with 48 doubles, 11 home runs and 105 RBI. The five-time All-Star also won two World Series titles, one as a member of the Cardinals in 1982 and another as a Met in 1986. Brock and Hernandez were teammates in St. Louis from 1974 through 1979, and remain friends to this day. The event is presented by St. Louis Union Station. Tickets for this event are $195 and can be purchased at cardinals.com/speakerseries. Are the Cardinals Buyers or Sellers? Rosenthal gets 30th save in Cardinals win!